Last week I was in Michigan with my mother, and had the added benefit of seeing my niece and nephew, and getting to take care of them for a bit. While there, my mother was complaining of cold hands. Personal experience with Dan and Sofia told me exactly what to do—make fingerless mitts! Not possessing a GPS or smart phone, I still rely on printing out old-fashioned maps. Grand Rapids is not a city that I am familiar with, but it is not that big. Googling yarn stores turned up A Grand Skein, and I drove there during a break to purchase yarn for those fingerless mitts. I loved this yarn store, and the owner could not have been more helpful and nice. So, I purchased yarn to make 2 pair of mitts, and noticed something on the way out. The mitts were very simple, and the yarn was so soft, Mendocino by Crystal Palace, not a yarn that I had tried before, but I really loved it. What does not show up well on the photos is the color range of the yarn, a rainbow effect, plyed with a pink color, they were very pretty. My mother loved them, and within a short period of time, her hands felt warmer. 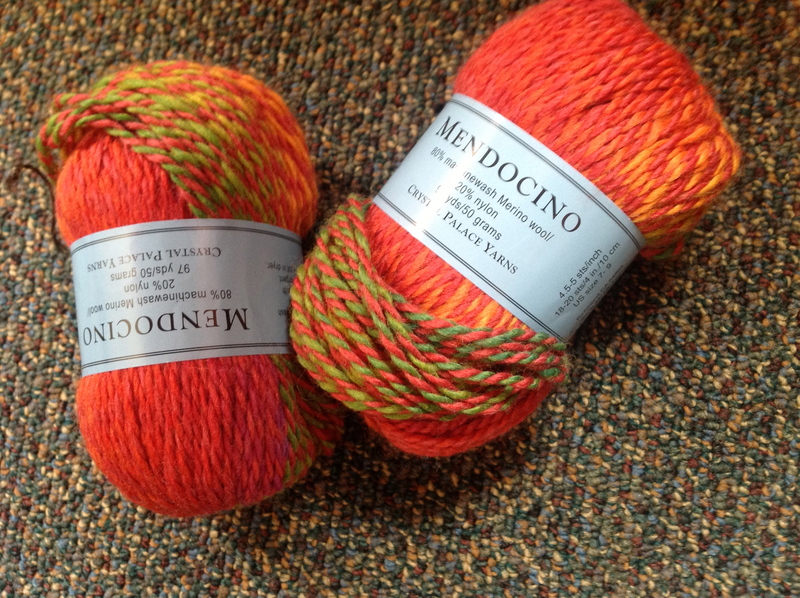 What kept coming back to me was the thing I saw while at the yarn shop. 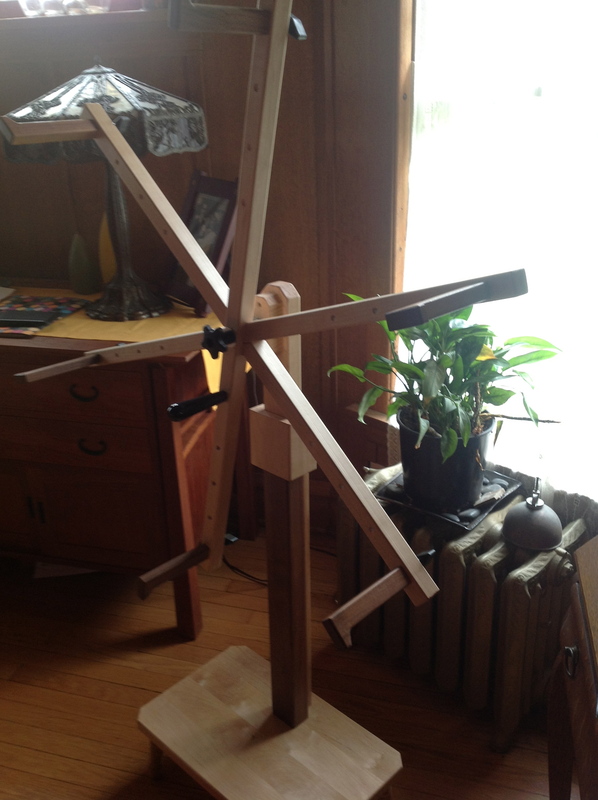 A big skein winder, with amazing ball-bearing gears, it spun so smoothly. You know where this is going… I went back the next day and mulled it over for a bit and decided to purchase it. The skein winder is made in Grand Rapids, Michigan, and I could not locate it online, I did find this demo video, and this one however. Over the years I have learned when I find something I really like, especially if it is unique and not readily available, just purchase it. This would have been too hard to ship, so I splurged and brought it home with me. The winder came with either a table mount or a stand with the option of a table mount, I went full hog for the entire set. 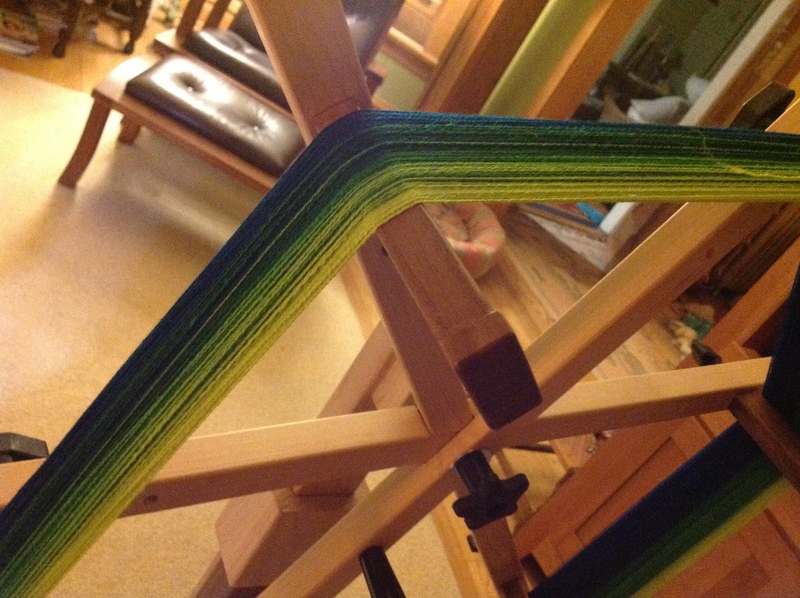 If I want to become a custom yarn dyer, I might need the dyers 5′ winder!! The workmanship on this is wonderful, and has been improved from the video to include pegs to wind a 1 1/2, 2, 2 1/2 and 3 yard skein. The walnut detailing is just a plus! You chose beautiful yarn! The mitts look great! 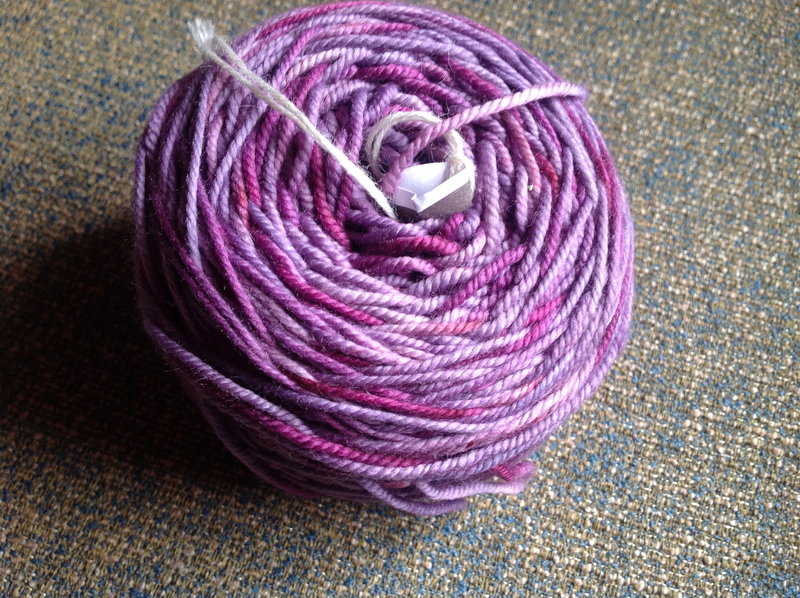 And that yarn winder – it’s fabulous. I think you deserved the winder too–it wouldn’t have been there when you went back on another visit. 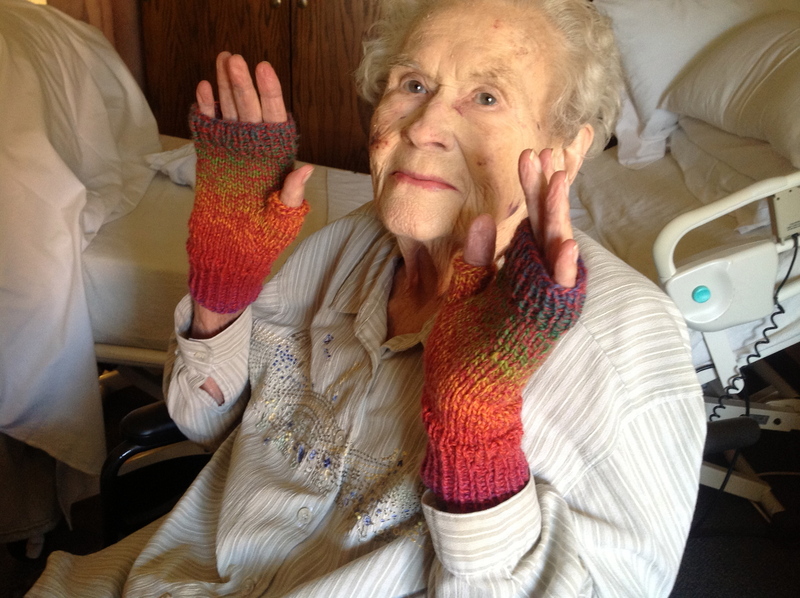 The fingerless mitts were such a great idea for Mom–I am sure she loved them and maybe it will help protect her skin a little bit. The winder is awesome! So are the mitts!